Do you feel conscious around other people? 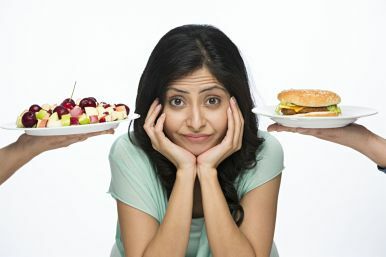 What if you controlled your diet intake and felt as well as looked better? Dont Waste another day. The time is now! Someone who has an eating disorder will be intently focused on their weight and body shape, which they may perceive as being unattractive or overweight. These perceptions lead to changes in eating habits which can affect the person’s physical and mental health. While eating disorders tend to be more common in certain age groups, they can affect men and women of all ages from all types of backgrounds. Typically eating disorders are a sort of coping mechanism, helping the sufferer to control or deal with difficult feelings – but in an unhealthy way. Eating disorders are complex by nature and there can be a variety of signs and symptoms involved. Alongside the eating disorder itself, many sufferers also feel depressed and may experience other mental health difficulties such as self-harm. How does counseling help with eating disorders? Our Expert Counselors will help in changing the perception and the over evaluation of shape and weight. They will work on these Negative and Irrational Thoughts that have a persistent negative effect on an individual’s Eating Behaviors, Self Worth, Feelings of Guilt, Self Harm, Depression etc. Our Psychologists will teach you Emotional and Behavioral Coping strategies to help you deal with your distressing emotions in a more effective way. In turn, this will help to avoid engaging harmful eating habits, self harm, etc. At the same time our counselors will help you to set realistic expectations of one’s own body image.